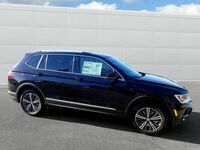 If you’re looking for a vehicle that offers power and utility in equal measure, look no further than the 2018 Volkswagen Tiguan! 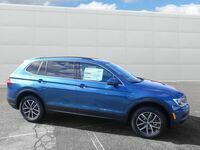 The new Volkswagen Tiguan has a ton of excellent features and systems, all of which are designed to deliver a driving experience that can’t be beaten! However, how does this great vehicle compare to the competition? What features, systems or properties does it have that others don’t? If you’re not a vehicle expert, it can be hard to know. We at Dirito Brothers Volkswagen are experts at all thing vehicle, especially Volkswagen vehicles, and so we know how to compare them against the competition! The 2018 Nissan Rogue is a strong competitor, offering a ton of great features. Look below to see how these two compare! As seen from the table above, the 2018 Volkswagen Tiguan offers a ton of excellent features and systems for you to enjoy! 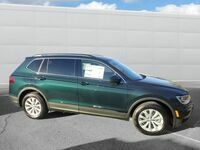 However, it is a little more expensive than the Nissan Rogue, about $1,700 more than its competition. 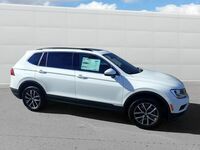 Despite this difference in price, the 2018 Volkswagen Tiguan has far more to bring to the table in terms of quality! 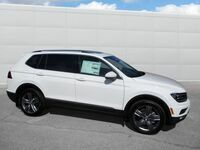 It has a better overall warranty, twice as good as the 2018 Nissan Rogue’s, as well as a higher overall towing capacity, being nearly 400 more lbs. 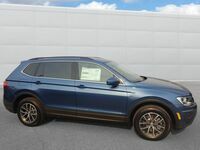 Additionally, the 2018 Volkswagen Tiguan also features more standard safety systems, with a pre-collision braking system that comes standard across all trim levels, something the 2018 Nissan Rogue doesn’t offer even as an available feature. 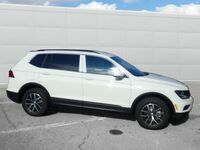 So, if you’re searching for a vehicle that offers great utility at a fair price, and one that’s guaranteed to smoke the competition, look no further than the 2018 Volkswagen Tiguan! Contact us at Dirito Brothers Volkswagen today to learn more!